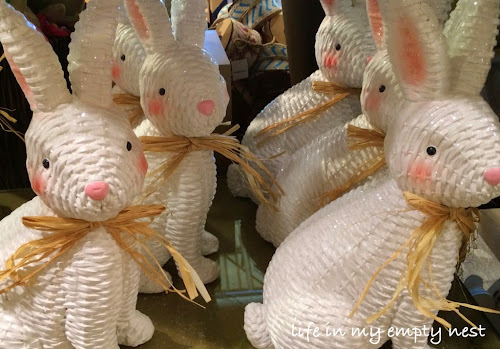 There is a little bit of Easter throughout my house, as I prepare for my daughters to arrive home this weekend. We will be having a small lunch on Sunday after mass, starting with mimosas and finishing with a new recipe for Mini Key Lime Trifles. I like to make things special for them and the Easter decor gives the house a festive feel, without being over the top. 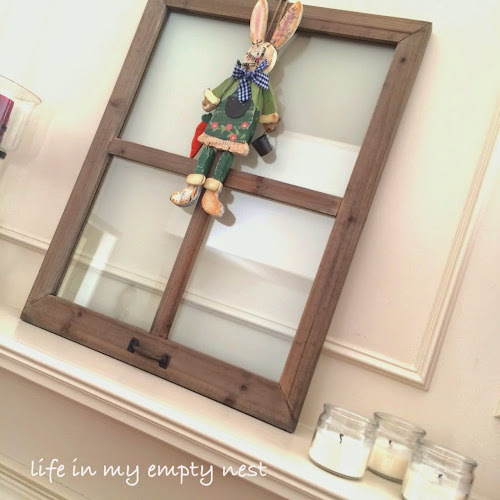 This boxwood and burlap bunny is indicative of the whimsical feel I try to create. There are bright colors, bunnies and chicks popping out of their shells. 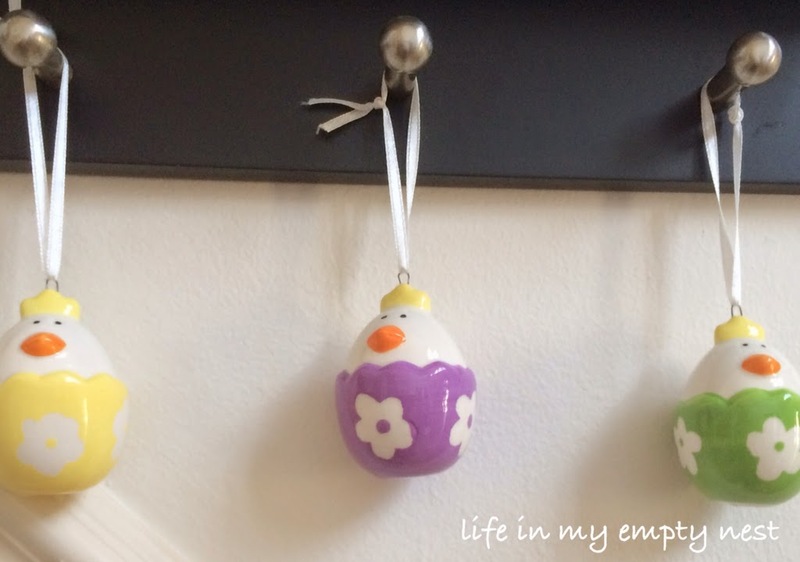 I like to hang things in unexpected places, keeping with the whimsical theme. The Easter bunting that hangs from a baker's rack in my kitchen is easy to make, at the last minute, from brightly colored fabric and seasonal ribbon. 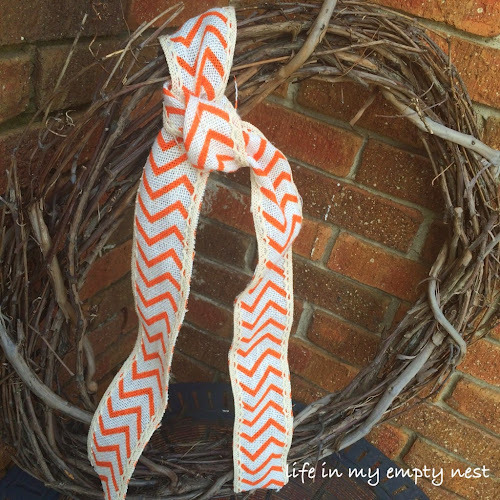 No sewing is required and the directions can be found here. 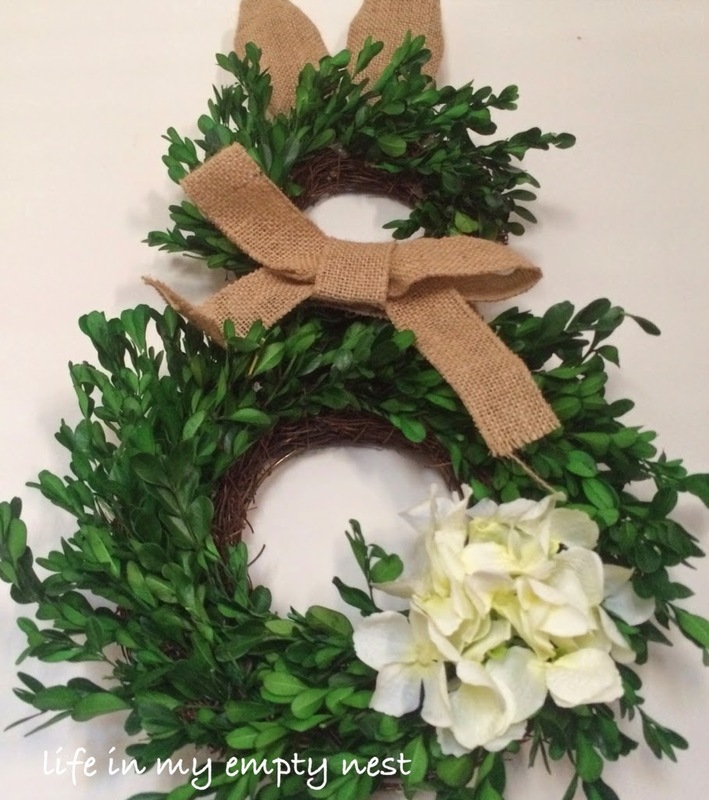 More seasonal ribbon; this time chevron styled burlap, is casually tied around a grapevine wreath on my porch. 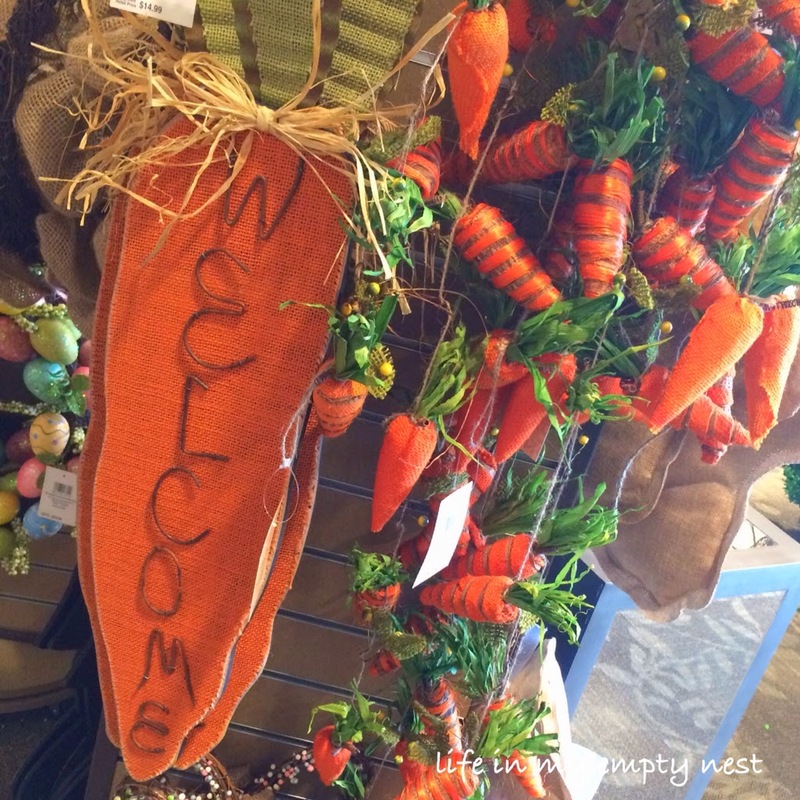 It gives a subtle nod to the holiday and a welcoming touch. 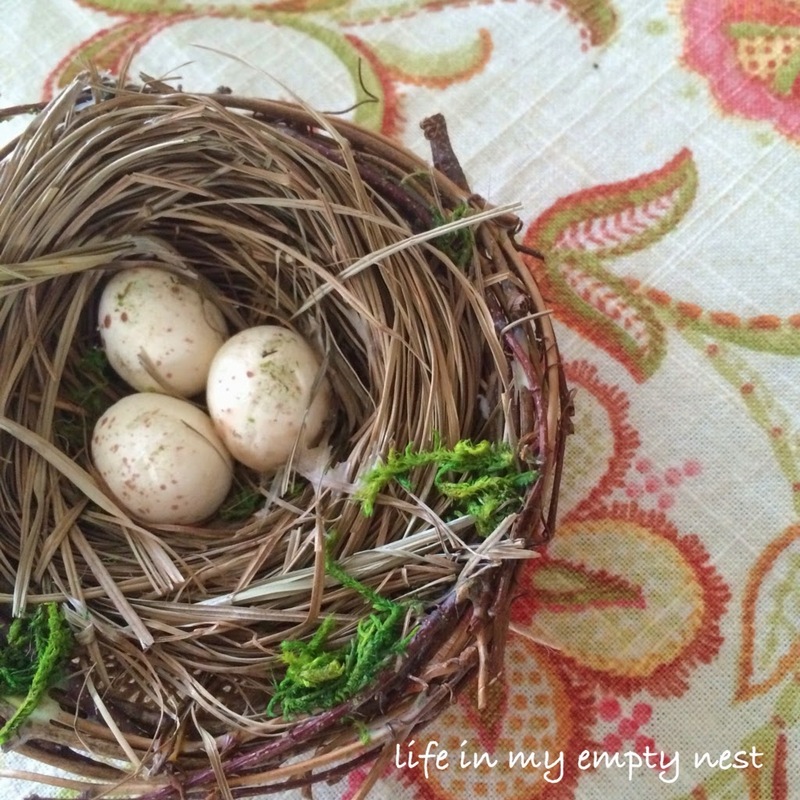 Eggs of many textures fill nests placed here and there. 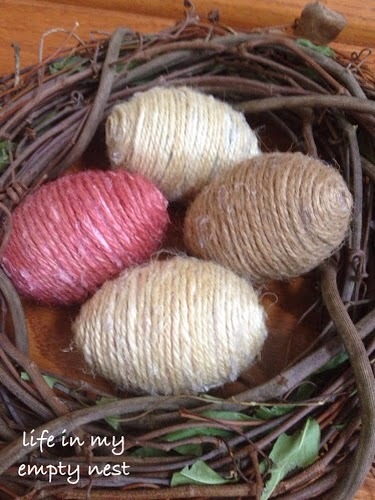 If you have plastic eggs and twine, you can easily make these twine wrapped eggs, so pretty and sweet. It's my first Monday morning back from vacation and I am definately in need of some coffee to get me going. 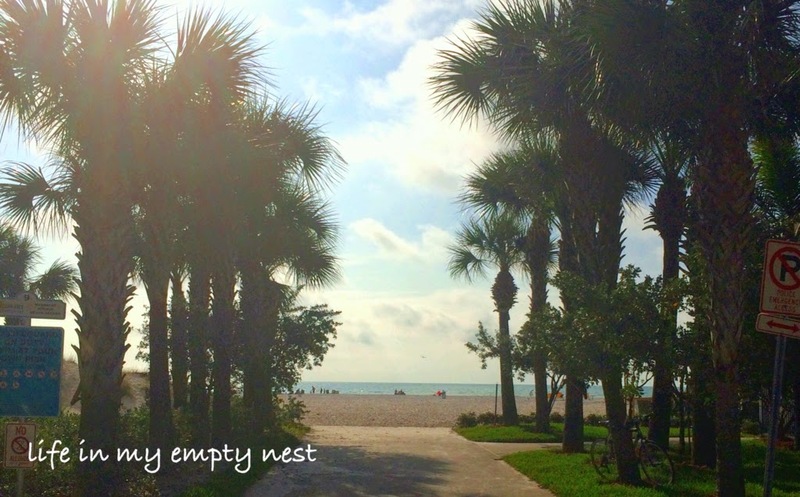 A week spent in Florida, poolside or beachside most days, was wonderful, relaxing and much needed after a cold winter. However, coming back to more cold weather and snow flurries, instead of spring temperatures, is a little frustrating and a bit of a shock. It's hard to put a winter coat back on, after wearing flip flops and a bathing suit for a week. 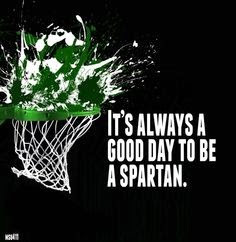 How excited are we about the Spartans winning their game yesterday and making it to the final four? I just love this team and am thrilled to be able to watch another game. Last night there was a gathering of thousands of fans waiting for the team to return home and celebrate and I was so tempted to hop in the car and go join in. It has been an improbable tournament run and this team has a lot of heart. Between the success of our football team and now the basketball team, it has been a proud year to be an MSU alumni. Finally, the paths in my neighborhood are clear from snow and my walking routes are back to normal. 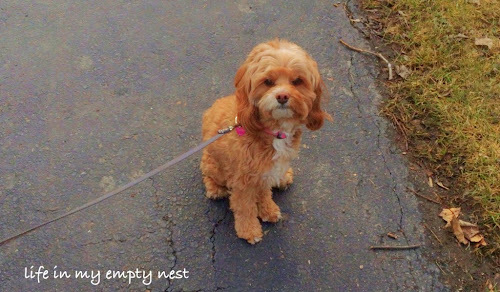 My puppy and I went on our longest walk in months, yesterday, and it felt so good. My intention was to look for signs of spring, as I was walking through the woods and wetlands, but maybe I was a little optimistic. While we long for some green to finally appear, and the calendar officially says it is spring, it is just a few weeks too early. But, it still feels good to be outside, with only a fleece jacket instead of my usual winter hat, gloves and heavy coat. The grass is visible and even though it is not green yet, it is a welcome sight. My puppy is thrilled to have so much more to explore. Here in the north, even the slightest bit of warmth gives us hope. We celebrate the snow melting, days in the 50's and finally putting away our winter coats. Our days of buds on the trees and green grass are within reach and we all feel a little lighter in spirit. Looking for and finding signs of spring are finally possible and I couldn't be happier that winter is gone for good. My affection for Instagram grows every day. 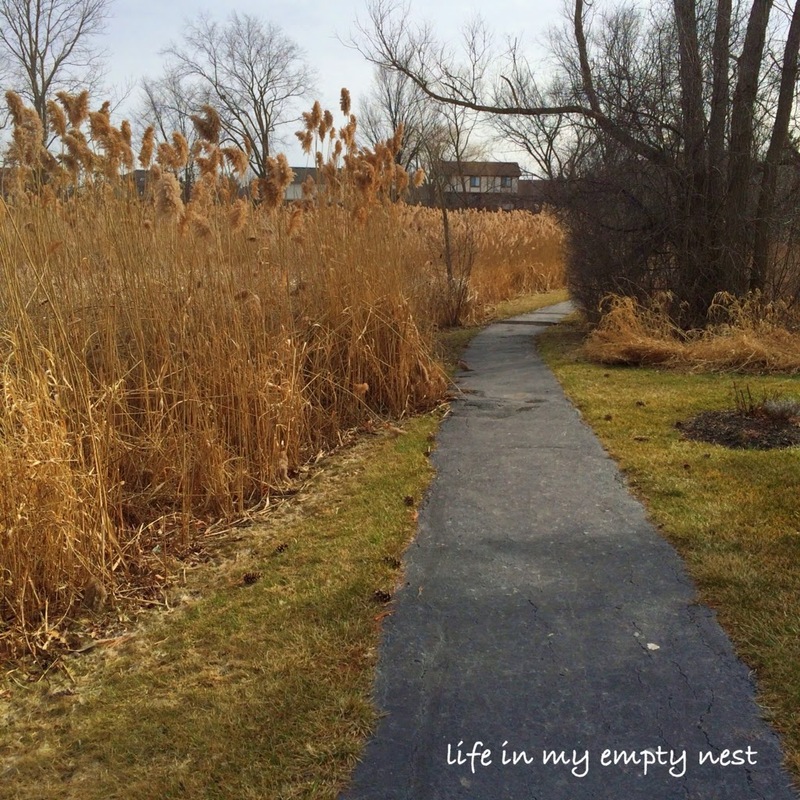 It has been almost six months since I made that first post and at the time, I wondered how it would fit in with my blog. I could see how twitter worked to bring readers through linking my posts, but Instagram had a different feel. It seemed to be more about making a connection, a quick comment or giving a like to a pretty photo. What I found was a community that is uplifting, friendly and a nice compliment to my blog. I can post a quick photo as I go about my day and immediately receive feedback. I don't have a Facebook account ( no interest), but do follow my daughters on Instagram and love seeing the little snippets of their life. Megan loves to post photos of the dinners she cooks and that's fun to see across the miles. I see a different side of my blogging friends, as well as keeping in touch with those who have stopped blogging as often. And, the photos are beautiful. 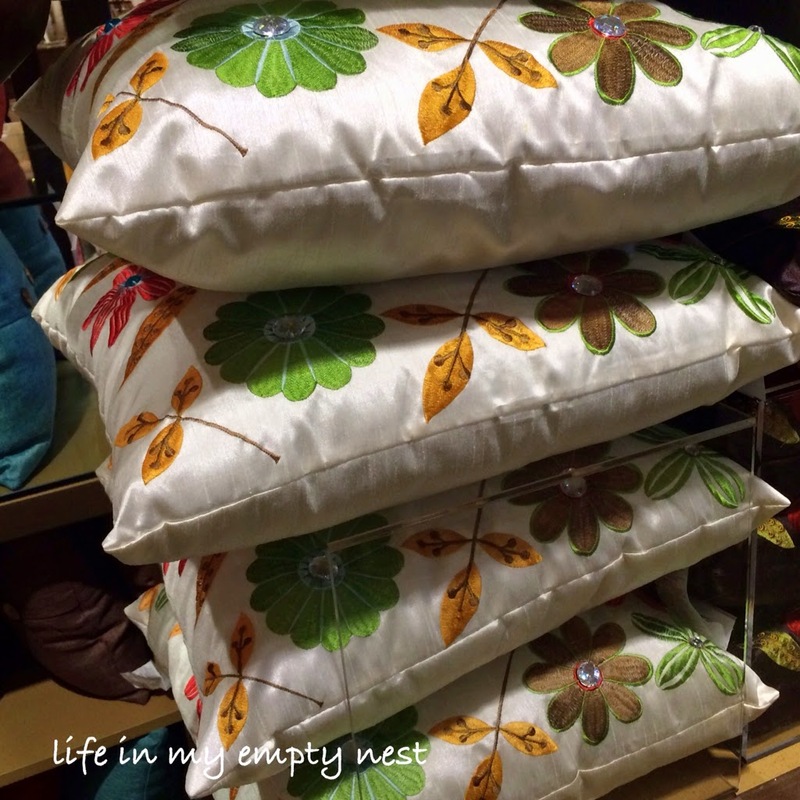 I would never stop blogging, because there are too many words inside me most days, needing to be put on the page. But, Instagram is a fun way to quickly share my life and share the lives of others. I would love to have any of you that are on Instagram join me and if you haven't tried it yet, I think you would enjoy it as much as I do. 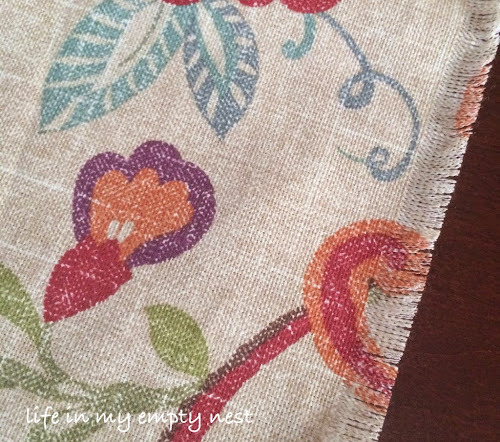 This pretty fabric has been sitting in a drawer since the fall, when I did an update to my dining room decor. I ordered it to use as a table runner, but decided it did not fit with my fall decorations, so I put it away until later. 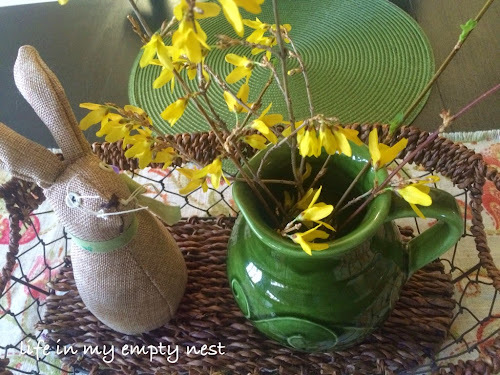 As I was putting away some winter decor, I stumbled across the fabric, waiting there, like buried treasure. 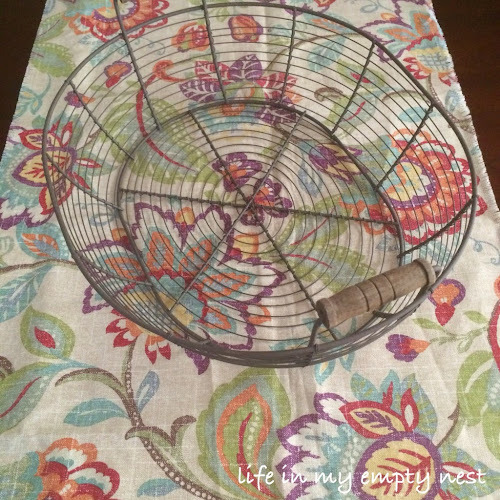 It was so easy to use my favorite, no sew method to make a table runner and now I have a perfect addition to my dining room for the spring and summer season. 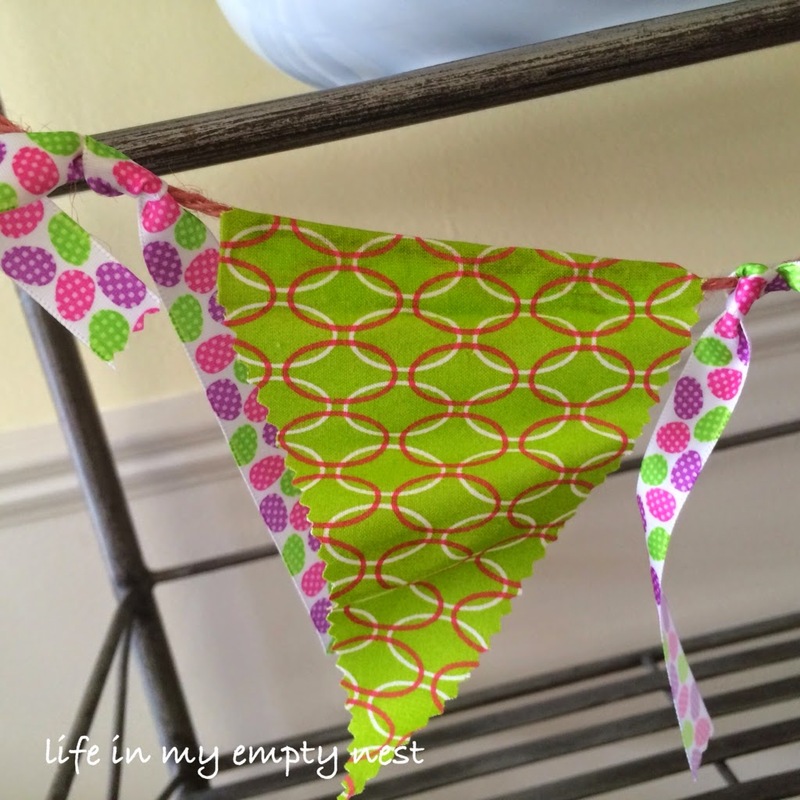 To make this table runner, simply place an existing table runner on the fabric and pin in place. Using sharp scissors, so your edges are clean, cut around your pattern. Now the fun begins - start to fray the edges by pulling strings. Use a pin to pull the threads, if it is difficult to start an edge. Fray each edge the desired width, but don't worry too much about perfection. The goal is a casual, charm that looks natural. For the other table runners I have made using this method, click here and here. I don't consider myself a baker, but I do love baked goods for breakfast. And I especially love scones. When I saw this recipe for traditional Irish scones, served with clotted cream and jam, it looked so simple to put together, I thought even I, non baker that I am, could give it a try. While I have not yet been to Ireland, St. Patrick's Day is a chance to dream of sitting in a cozy tea shop, sipping on hot tea and enjoying freshly baked scones, while a soft Irish rain falls outside. 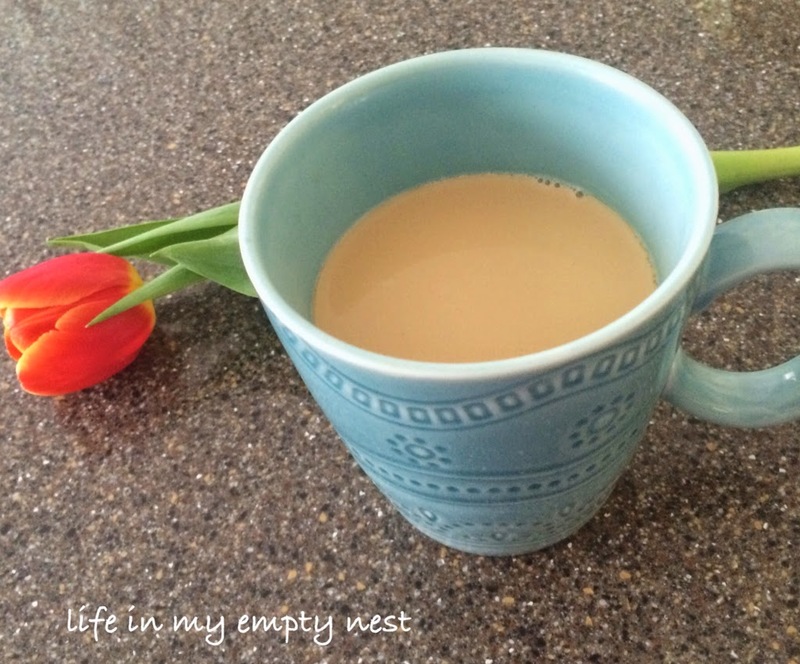 Someday, I will get there, but for now, I can bring the tea and scones, right to my kitchen. When making a dough, there is a point where you know immediately if it will come together, as it is supposed to. This recipe is very clear on how the dough should look at each stage and it seemed to be coming together just as described. In no time, I had a lovely dough that was easy to work with and cut into rounds. 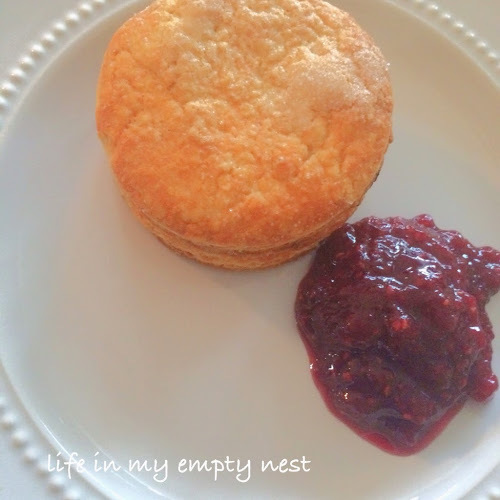 After baking, the scones were light, flaky and delicious with my home made Two Berry Freezer Jam. 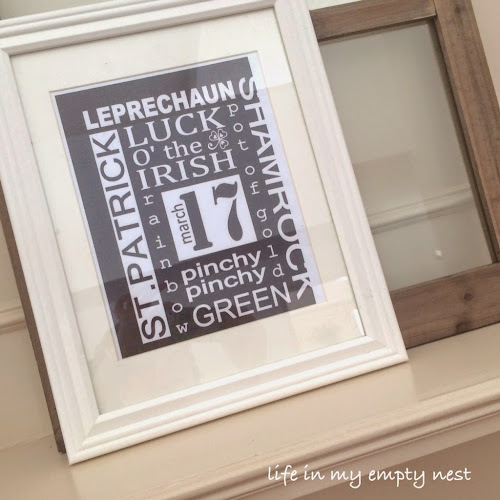 A little bit of Ireland, for any kitchen, just in time for St. Patrick's Day. Preheat oven to 425 degrees. Whisk baking powder, salt and flour together in a large bowl. Add butter and blend with fingers, until pea size pieces form. Add milk and sugar and mix with fork until a rough dough forms. Transfer dough to a lightly floured surface and gently knead, 3 to 4 times, until dough just comes together. Gently roll or pat dough into 1 inch thick round. Using a biscuit cutter or a small glass, cut out scones. Gather scraps and repeat, making 8-10 scones. Transfer to a baking sheet, sprayed with cooking spray. Brush with beaten egg and sprinkle with sugar. Bake until golden, 12 minutes. Transfer to wire rack. Serve with clotted cream and/or jam. Spring is in the air finally and it is especially noticeable when you are walking through the stores. 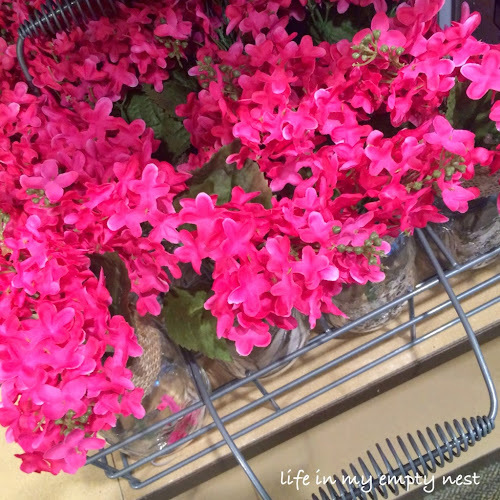 I was out shopping yesterday and loved seeing all the spring prettiness; especially when I was at Kirkland's. The colors were bright, there were flowers and greenery galore and seeing it all, put me in the best mood. Easter decorations were whimsical and fun with an abundance of bunnies and carrots on display. 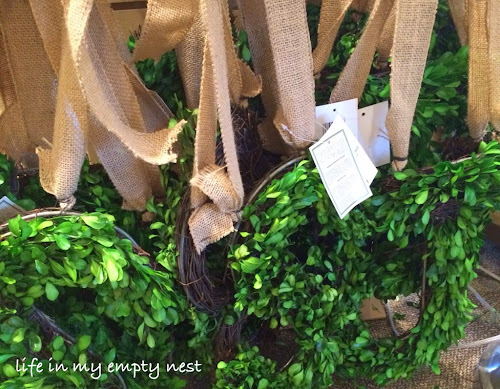 Texture was the order of the day, with both burlap and wicker on many items. 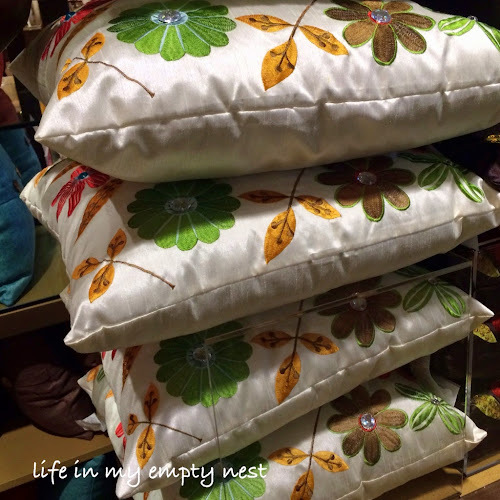 There were colorful pillows stacked here and there, perfect to brighten any patio chair. 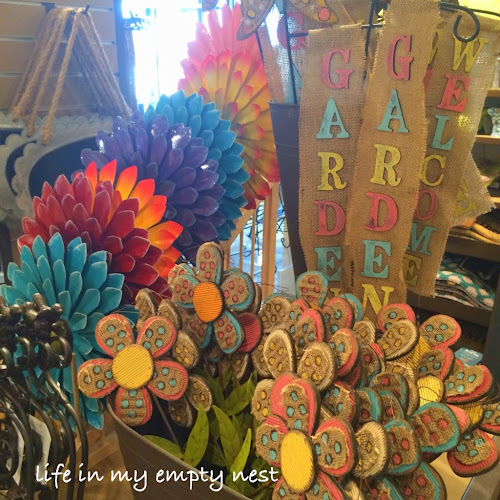 And, my heart always beats a little faster when I see the pretty garden and patio decor. 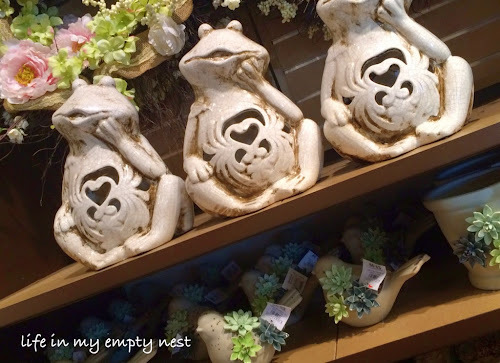 Spring arrives officially, within a week or so, but if you take a walk through any home store, you will be hit by spring prettiness, tempting you to add some color and seasonal decor to your home. I love trying new martini recipes for holiday celebrations and this Grasshopper Martini is perfect for St. Patrick's Day. The Creme de Menthe gives it the vibrant green color and also a wonderful mint flavor. This is an an old fashioned cocktail and in fact brings back memories of my mother enjoying this drink with her friends. It definitely is from a different era and you will feel like you have returned to the 1960's where this drink first gained popularity. 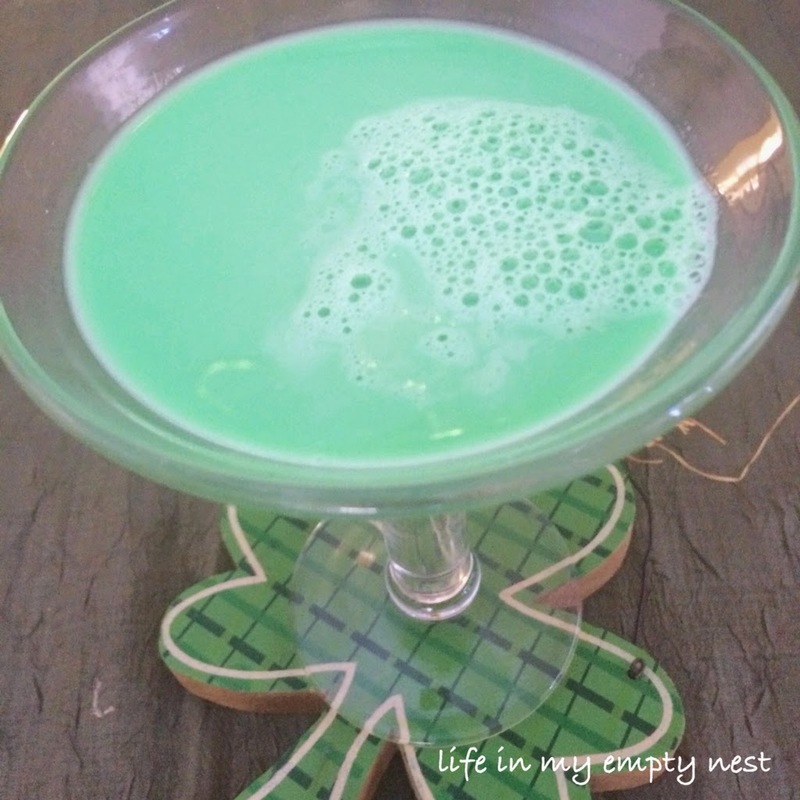 The flavors in this creamy martini will remind you of a a grown up shamrock shake and the color makes it fun to drink. Some flavor combinations just go together and chocolate and mint are ones that always work. I made this sample to try last night, but will be enjoying another on St. Patrick's Day. In a martini shaker filled with ice, mix equal parts (1 1/2 ounce) Creme de Menthe, Creme de Cacao and 1/2 and 1/2. Shake until foamy and pour into a pretty martini glass. Enjoy! Today is my daughter Megan's birthday and as much as I would like to be with her to celebrate, the reality is that we will be celebrating this year in different cities. Last year, she moved from Michigan to Pittsburgh; ready to start a big girl life, in a new city. This has been a year of change and as she turns 25, the future looks bright. She is beautiful, both inside and out and continues to succeed at whatever she does. She is happy and it warms my heart to hear that happiness in her voice, when we talk on the phone. And, for now, those phone conversations or text messages are the reality, even on a special day like her birthday. I can't bake her a cake and watch her blow out the candles, but I can send a few surprises for her to open and hopefully feel the love. 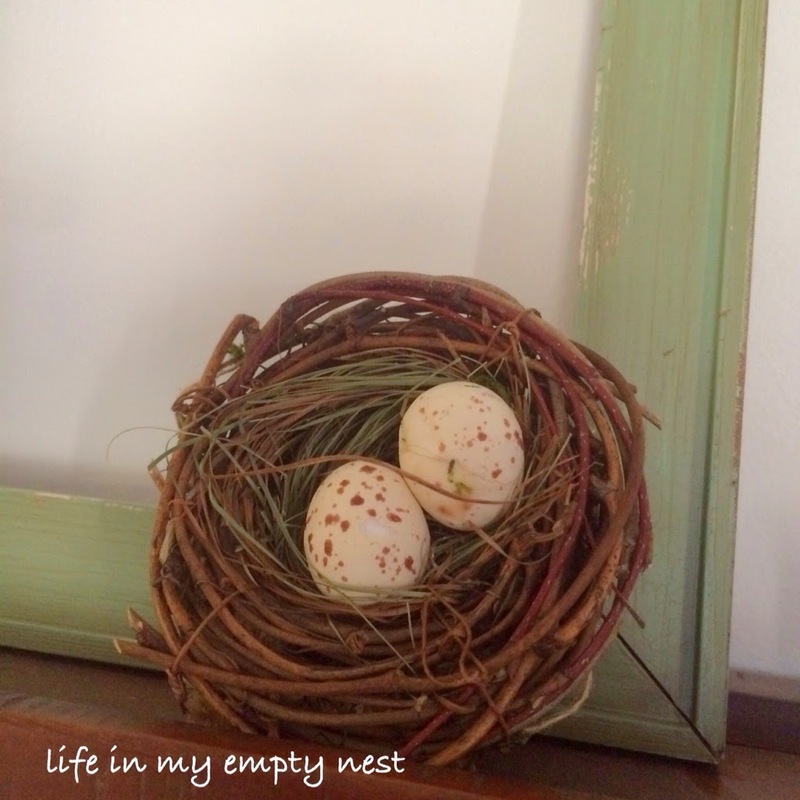 These milestones, celebrated from a distance are the reality of an empty nest. It takes some getting used to, but like anything you learn to accept the change. A birthday from afar can be sweet in its own way; with best wishes and love sent across the miles. The Monday morning after the daylight savings time switch is always the worst. You have not adjusted to losing that hour and to make it worse, it's still dark outside when it is usually light. It just feels like a Monday and I need coffee. Perhaps if I think of some good things that happened this weekend or will happen this week I can get through this discombobulated morning. Even though it's dark early, the fact that it will stay light later is a good thing. I can start to walk later in the evening if I choose and the days just feel longer. We had a fairly quiet weekend, which was a nice change. 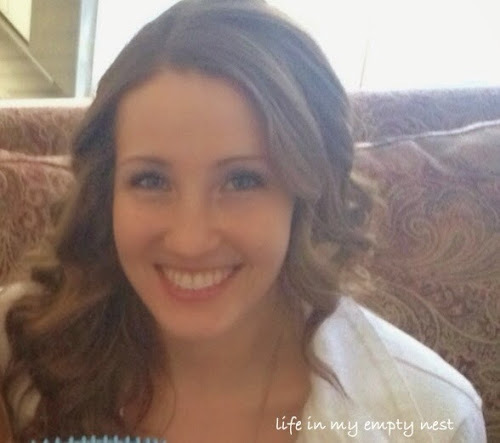 Melissa is home for a few days before she leaves for her spring break trip to Las Vegas and we love having her here. Her boyfriend came for dinner last night and it was nice to cook a good meal and relax over a few glasses of wine on a Sunday night. When I look at the weather forecast for this week it makes me very happy. Every day is in the 40's and there is even a day midweek, in the 50's. That is remarkable, since we have barely made it out of the 20's since January. Finally, all our snow will melt away and we will see some grass again. Later in the week, I plan on having a pedicure to get ready for my upcoming trip to Florida. The thought of wearing flip flops and sandals seemed so far away, but here it is and I look forward to sitting in that massage chair once again and coming away with pretty toes. I started to read a new mystery series and that makes me happy too. The Aimee Leduc series by Cara Black is set in different areas of Paris and is intelligent, gritty and fast paced, with a well written, strong female character. I will be working my way through the older books until I reach her newest book, recently published. There is nothing like discovering and immersing yourself in a book series, if you are a avid reader like I am. There is much to be happy about on this Monday morning after all. I will pour another cup of coffee, enjoy the early morning quiet and look forward to a great day. It's been a long, cold winter. 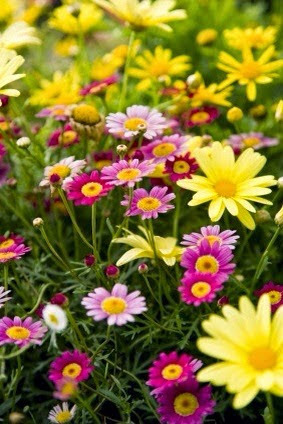 And, with that being said, I keep looking outside, picturing in my mind, green grass and flowers blooming. Once the snow melts, in a matter of weeks now, the bulbs I planted in the fall will begin to poke through the ground and the lovely sight of daffodils and tulips will mean spring has finally arrived. 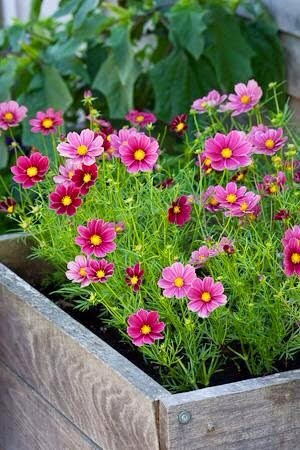 I am also dreaming about summer flowers and what I will be planting this gardening season. 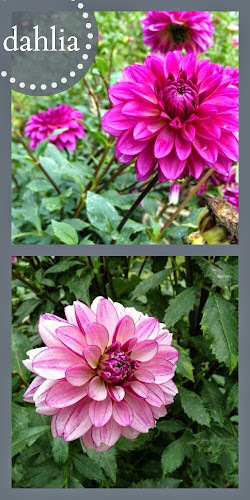 Over time, I have discovered that the thing that makes me most happy with my garden, is my ability to go out in an early morning, see what is blooming and cut flowers for a sweet bouquet. 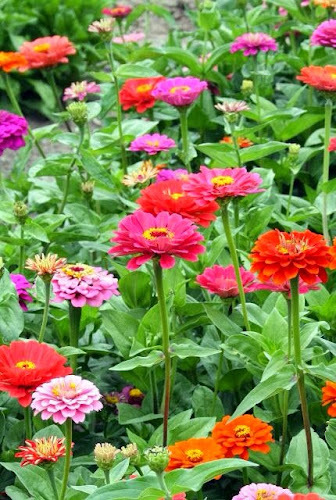 So, this year the flowers I plant will have that thought in mind and I will work on planting flowers suitable for cutting and with a beautiful array of color. 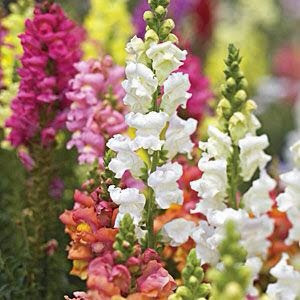 I can see all these lovely blooms mixed together in a mason jar or vase sitting on my kitchen table, all summer long. It's such a beautiful thought and the best part is, soon I can make it come true. 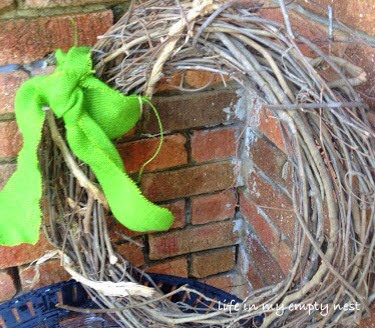 Since we have Irish blood in our family tree, I try to add a little green to the month of March. I keep it simple; just a few touches of shamrocks here and there. A free St. Patrick's printable, in a simple white frame adds some flair when propped in front of a window pane on my mantel and on my front porch, a bit of bright green burlap ribbon is a welcome shot of seasonal color. 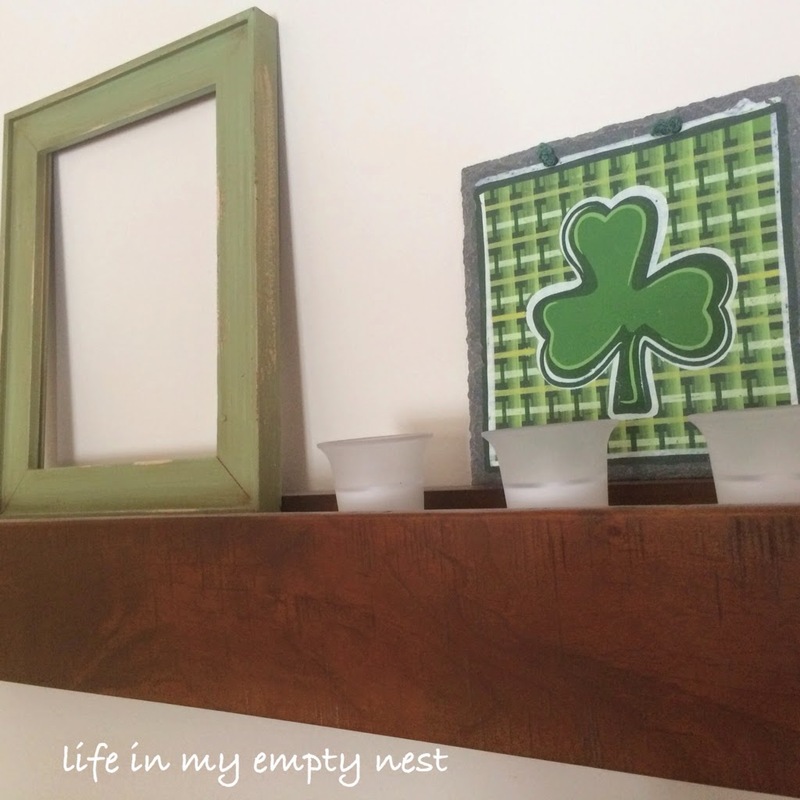 A slate tile, with a prominent shamrock, is simplicity at its best on this Pottery Barn shelf that I like to change with the seasons. 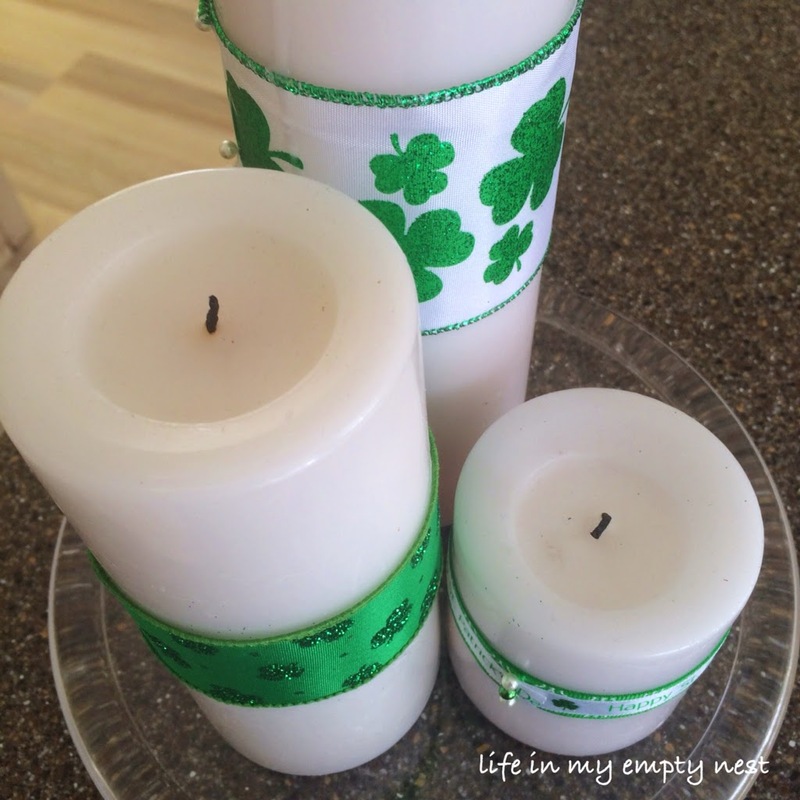 And, these easy to make ribbon candles are a bright and cheery accent in my kitchen. 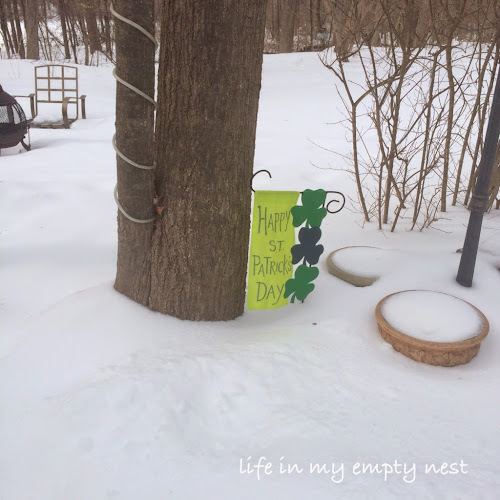 The snow continues to hang on this month and a seasonal flag in the backyard area brings a smile, while we anxiously wait for all that snow to finally melt. There may be no green grass in sight, but my St. Patrick's Day touches of color, give March the colorful welcome we need. Another snowy day means another day of baking something yummy. Yes, spring will arrive, eventually and I will be out planting flowers instead of stuck inside, but until then, I love to bake when the cold weather strikes. Today's recipe was a new quick bread that I made in a different way. I usually make one regular sized loaf, but wanted to try the small loaf pans I found in my cupboard, while looking for another item. I discovered that one full size bread recipe makes three perfect, little loafs; one to enjoy now and two to freeze for later. I wasn't about to go to the grocery store in the sloppy weather, if I didn't have to, so I found a recipe that used the ingredients I had on hand. 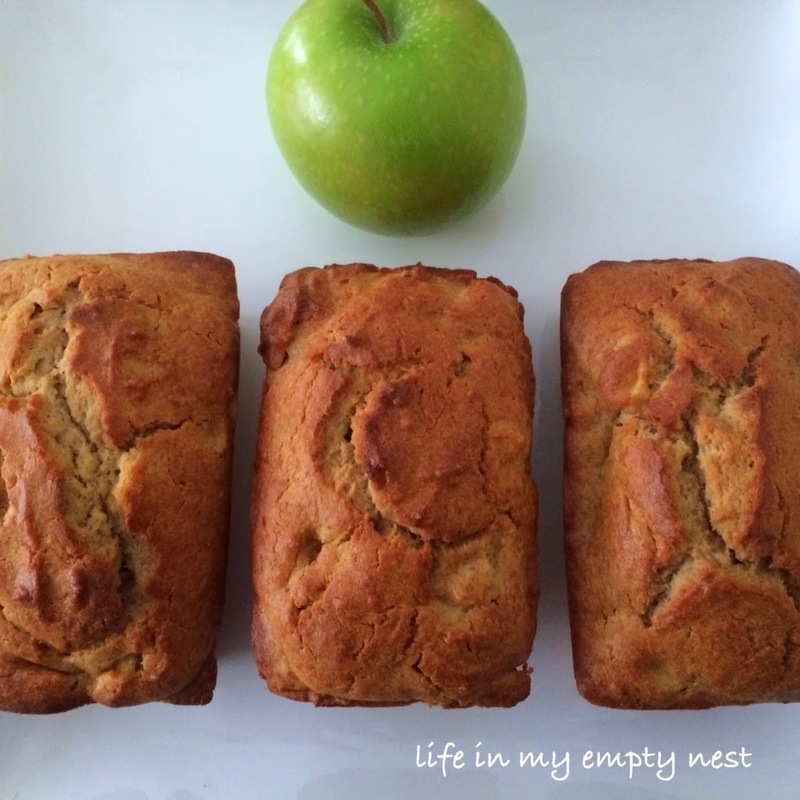 There is always a bowl of apples sitting on my kitchen counter and I knew the addition of the sour cream would make this bread special. It was the perfect accompaniment to the cup of tea I enjoyed after what I hope will be my last time shoveling snow this season. Hurry spring! Spray one regular size or three small loaf pans with butter flavored cooking spray. In a large bowl beat butter and sugar with a hand mixer until fluffy. Beat in sour cream, then beat in eggs, one at a time. And vanilla to egg mixture and finally stir in chopped apples. In another bowl, whisk together dry ingredients. Fold this mixture into the wet ingredients and stir until just combined. Pour batter into prepared pan(s) and bake at 350 degrees for 55 minutes or until top springs back when touched. Cool in pan for 15 minutes, then remove to wire rack.